The only constant in technology and business today is change. To compete and win, enterprises across industries must be able to adapt to changing demands, experiment with new products with speed and scalability, all while maintaining a strong security posture and operational efficiency. That means enterprises need to be good at software. Join Pivotal, Magenic and New Relic for a lively discussion about how modern software development is helping enterprises, be they Java or .Net shops, move fast and deliver successful business outcomes. Should you have any questions or would like more information about this event, please email us at [email protected]. 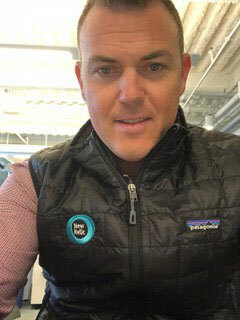 Michael is the director of Pivotal Chicago Labs, where he works with organizations of all sizes to focus software culture on collaboration and outcomes. He and his team have embedded with companies like Allstate, Discover, Ford, HCSC, and CoreLogic to drive change in their organizations. Close Collaboration is a good fit for Michael’s interests in learning, teaching, and creativity, but if you ask him what he’s really excited about, it’s either learning how people interact with his software or attending a game at your closest baseball stadium. 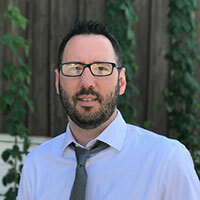 Robert is a Lead Consultant with Magenic, heading up the Magenic Pivotal Practice, and has more than 15 years’ experience with the .NET and Microsoft technologies. He has been working with Pivotal Cloud Foundry in the .NET space for more than two years, and during that time, Robert has led large re-platforming and modernization efforts in moving .NET applications to Pivotal Cloud Foundry. He also has industry experience in real estate, financial institutions, politics, and energy and chemical. Steve works in the global partner solution group working closely with cloud vendors and implementors to build go to market strategies that enable customers to optimize the value in their investments. 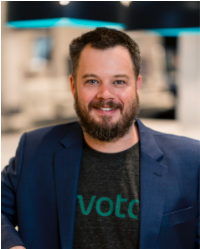 He has worked closely with the Pivotal team globally to build out New Relic capabilities that will allow for customers to quantify the value of their Pivotal investment. He joined New Relic from Salesforce where he spent 18 months covering both Key and Strategic accounts in the West as an Enterprise Architect. Prior to Salesforce he spent 12 years at Oracle in the Consulting, Pre-Sales and Enterprise Architecture divisions. In the last 17 years he has worked across different market verticals focused towards driving value for customers through adoption of technology. In the process he has worn several hats including implementing innovative solutions, building go-to market strategies for new products and services and leading large Digital Transformations.